Billy Sichone writes: "Greetings brethren, find attached, an interview write up with the late brother, Mr Dabson Mwendafilumba. I carried out the interviews in two parts, in 2000/01 & 2004. I often enjoyed our discussions on management and Strategy and has greatly influenced some of my management ideas. In writing my Strategic Horizon book (see introduction/acknowledgements page), I consulted him quite a bit. Thus, this writeup is exhumed from the archives and is now available to the public." 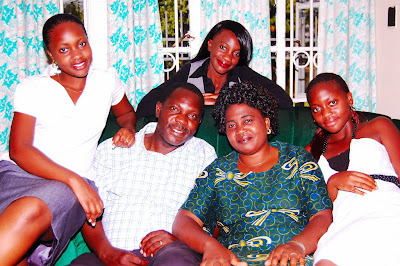 This interview was carried out by Billy Sichone with Mr Dabson Mwendafilumba (with family in picture below), CEO of the Hostels Board Zambia, a chain of lodges dotted around Zambia. The objective of the interview was to discover how and why the said lodges were doing well under the Leadership of Mr Mwendafilumba, given a very dark background when the lodges once were not as good as they have suddenly become in recent years. Thus, this interview centres on strategic thinking, management, planning as well as quality issues. 1. What, in your own word, is management? Ans: In my own words, I would define Management as the process of managing resources ensuring that there is no management crisis. In other words, I could say ensuring that all resources under your case are properly harnessed and used to their intended end. 2. What various styles of management do you know? I must also state that in Africa, management is quite different from that which you find elsewhere. It is a power distant type of management so that there is fear instilled instead of friendship in relations between supervisors and subordinates. As I have mentioned, this differs from the Western world where people are addressed by their first names, showing that they are colleagues and comrades. 3. Which one do you espouse or prefer? Ans: Management is based on team building these days and to succeed, we need to depend on each other. Therefore, I prefer and practice this type of management. 4. Does team work or spirit exist or work in Zambia? Ans: It has worked in the lodges that I am Director of. All our managers meet quarterly to discuss and create friendship by working together. When we meet, we have fun together and ensure we create a conducive environment where we are all at liberty. Every meeting, we begin in prayer which has helped unite us. In order to spice or enrich our meetings, we visit tourist attractions, engage in recreational team building activities like swimming which in effect create dependability on one another. After refreshing, we meet once again to brain storm and focus on one thing, ensuring there is a shared vision in common as well as buy in. As the leader, I ensure they all see the ‘Star of Bethlehem’ akin to what the Magi of old did. Ans: Traditional Management wasted time on fighting each other and standards as such would start to decline. This cannot be tolerated now due to increase in marketing and competition. Furthermore, in a traditional management setting, new ideas are not encouraged or let to blossom but in the current context, you must continuously be coming up with new ideas which will be generated by different people contributing from within the team. As for the trends, Management in Zambia is changing at a slow pace as top management still tend to hide information from subordinates that would enlighten and build them up. Information is still the private preserve of the few thus curtailing anyone one from effectively contributing. Furthermore, in Zambia, the power distance between supervisor and supervised is still large although some modifications exist in pockets here and there but by and large, things are still pretty much the same. In addition, management does not come with one mind but different individuals are busy pursuing their own things at the expense of organizational development indicating very little buy in and no shared vision. That’s the picture in Zambia as I see it. But the good news is that we are changing the picture in the Lodges and I am sure we are far ahead of the others although admittedly we have our own challenges along the way. 6. How has been the transition from Traditional to modern management? Ans: It hasn’t been easy admittedly but there have been pockets of resistance here and there as people dread to leave the comfort zone. If we are to be successful, there must be willingness to change, though change is not an easy undertaking. 7. How long have you been in management? Ans: Well! I have been around quite a bit! Specifically, I have been in management circles since 1989. I have risen through the ranks and was executive officer but I am now the Executive Secretary or Chief Executive Officer (CEO) of the Hostels Board in Zambia. 8. What about in the Hotel industry how long have you worked there? Ans: Like I mentioned, I have been in the hotel industry as far back as 1989 where I have most of my professional life. 9. How do you manage as a professional running a Government owned (Quasi - Government) business? I am sure there is a lot of political interference. I would be interested to know how you play the balancing act. Ans: It is a very delicate exercise I must admit because every move, decision or act that you do is meticulously watched but I am pleased to let you know that we do not run like bureaucratic Government. In as much as we have some bureaucracy but Government has graciously allowed the Lodges to somewhat operate independently by and large. This has enabled the lodges to make significant headway because this is viewed as a strategic institution to the Government as well. A balance must be struck in relying on the Government and at the same time implementing modern management principles. As for the balancing act that you mention, so far we have no problem emanating from political interference, in fact, the Government has been very supportive, desiring that the lodges improve and become self sustaining. We have challenges in running the lodges one of them being the delayed payments which makes it difficult for us to raise the lodge standards where they can effectively compete with others in the same industry. However we have put some strategies in place to ensure we get where we want to go. 10. How much interference from Government is there and how do you handle it? Ans: An amount of interference is there but not so much and can be handled with some tact and wisdom by all of us. It is all about knowing who is who and what is at stake as well as how to respond. Strategic thinking is key. 11. Talking about survival of Hotel industry, just how do you survive, being a parastatal? Ans: We have taken a number of steps to ensure we remain competitive. Here are some of them. The first is that we have embarked on rehabilitating all our lodges around the country, I am sure you have seen the Belvedere and Long acres lodges, these are master pieces. For lack of resources, we are doing this piecemeal and in stages as we generate resources as well as funding from Government. Since we are 100% Government owned, originally all the money generated used to go into Government Treasury. This brought its own dimensions and challenges. However, now the lodges have their own account which they use for operations and reinvestment. This is a very positive step in the right direction. The second is to plan at National level but ‘Think local’. We take all the variables into consideration such as place, target market and so on then set our pricing. Our aim is to improve our service quality to world standards, if possible. Therefore, in response to the survive question in the hotel industry, we must note that few lodges in our chain actually make losses at the moment (2004).In the event of a loss, other profit making entities offset that loss. Further, because of the Team work culture we have cultivated, it is paying dividends for us. In fact, we are actually making profits. 12. Hmmmm… this sounds good I am tempted to ask what place marketing takes in your organization since it is quasi Government. Ans: Marketing is important in this economic set up we find ourselves in. We have been aggressive and use personalized marketing to satisfy our customers. For instance, we know our clients’ birthdays, send cards when it comes around periodically call them and keep the lines “warm”. In addition, our staff ensure they master people’s names that have lodged with us before and that has a bonding effect and fosters loyalty. 13. How much of the market have you captured? Ans: We can safely say that many people prefer lodges to hotels because they are far more ‘homely’ and for the moment, the lodges in Zambia collectively place it at about 65-70% of the lodge market while others hold the rest. We are correctly positioned for the moment and one hopes we can improve on that record. To capture market, many use different strategies but we focus more on quality because it is the best competitive weapon rather than price. Treat customers well, provide for them and I am sure they will come round again! 14. I note you use the word “Strategy” quite often, what is strategy to you and what does it mean? Ans: Strategy is the means of achieving your goals and objectives. 15. How do you apply it in your management skills? Ans: Strategy cannot be applied once and then you forget about it. You must keep in mind what the competitor’s strategy is. Know how and when they are to apply their strategy and ensure you craft a better strategy that will outwit them. In other words, strategy should be kept fresh and organic so that it can remain relevant and effective as we know that competition is constantly rising. One such strategy that we have utilised in quality ensuring that everything that we do is as perfect as possible to more than please the customer. 16. Before I ask about TQM let me ask how your organization has used this weapon to survive the tough economic times in competition to other new industry entrants and other industry incumbents. Ans: We have used it very effectively especially that we are a government entity. Our strategy is that they give a lifespan of assets by having a plan as well as lobbying for items we require in advance. In that way, we have beaten the bureaucracy and emerged victors in a ferociously competitive industry. TQM! That concept entails having high quality throughout the organisation and tends to have a lot of advantages for the organisation that practices that. In the hospitality industry, one cannot evade quality because we just have to be the best at all times. At our lodges, we emphasize that every employee must put quality first in whatever they do because if we serve our customers well, then our business improves too. They will go out there and tell many others to come and lodge with us. We may not be TQM certified but we strive to be the best of the best among the lodges. 17. What is your strategy for survival? Ans: Our survival plan is to always read the times and proactively respond before others do. 18. How do you motivate your staff? Ans: It has not been easy at the lodges because the personal incomes are low but then, monitory gain is not the only motivator. To beat this, we make sure we recognise staff that are outstanding in their work as well as ensure that all members feel part and parcel of the organisational success. 19. I note you read a lot and have a lot of management concepts up your sleeve, can you recommend just one book for one to read so that they become as astute as you are? Ans: I would definitely give you many titles but I highly recommend one...have you heard of or read a book called “The Seven Habits of Highly effective people” by Stephen Covey? Oh it is a marvellous book and deals with about everything any manager would like to know. It has impacted and changed my life a lot. 20. Does that explain the secret of your success.....? Ans: It certainly has contributed! Covey brings out very important concepts such as having the end in mind as well as being proactive which concepts I have sought to integrate in my management. Every day before I start work, I sit still in my office chair and just relax while I think through issues. When I arise, I will have sorted out a lot of things. So, for sure, Covey has been a mentor and coach to me. 21. Finally, what have you studied and where? And what is the way forward for the lodges? Ans: I have studied some hotel management at NIPA as well as other studies in house. Lord willing, I hope to pursue further studies in future in the same discipline. As for the way forward, we would like to be the best, far mush better than we were yesterday. People always want to see innovators and as such, innovation is very vital for success. Secondly, we want to embrace change and be never content for the dynamic times in which live will not permit us to sit still. We must constantly be improving. This is the silver bullet to success. Thirdly, we want to embrace technology as fighting competitors is more than just having cash but mental. We need to be thinking all the time as we exploit cutting edge technology in the industry. Lastly, we want our customers to be able to book without being physically present. In other words, technology will help us as we install online book services. In that way, we shall get ahead of the pack and be a resounding success. Billy: Thank you so much Mr Mwendafilumba for according me this special interview realising that you are a very busy executive. Ans: You are very welcome and I wish you well! Watch us in the press as we make inroads!!! “The people who walked in darkness have seen a great light; those who dwelt in a land of deep darkness, on them has light shined” (Isaiah 9:2). I have just returned from Swaziland (see map), a small mountainous country with a population of about one million people. Unlike most African countries that have many tribes and tribal dialects to try and keep together, Swaziland comprises only one tribe and one dialect. It is about forty-five times smaller than Zambia and is almost swallowed up by its neighbour, South Africa, except for part of the eastern border where it is bordered by Mozambique. Economically, the country is almost totally dependent on South Africa. 90% of its imports come from there and 75% of its exports go there. It is a country that is rich in natural resources and its main industries comprise coal mining, wood pulp and sugar. Swaziland became independent from Britain in 1968 and has since been ruled by a m onarch. Presently the monarch is King Muswati III (see picture), who rules together with the Queen Mother. Civil unrest calling for democratic change in the early 2000s forced the king to allow for some measure of democratic reform. However, he still appoints the Prime Minister, the top judges in the judiciary, and almost half of the Members of Parliament. So, it should not be too surprising that pressure for more democratic reforms continues to be exerted by civil society. Swaziland has an HIV prevalence rate of 39.2%, which is the highest HIV prevalence rate in the world! This is indeed a great challenge to the nation. The churches mainly come under the Council of Churches, the Conference of Churches, the League of Churches and the Independent Churches. Among the major "churches" in the country are the Zionists (about 40% of the population), Roman Catholics (20%), the Seventh Day Adventists, and the Charismatic/Pentecostal churches. The good news is that ten years ago (in 1999), about one hundred individuals came together to form the Manzini Fellowship Church (MFC). They left the Evangelical Church in Manzini due to serious doctrinal differences. Although initially this parting of ways led to a lot of ill-feelings, with time these two churches have developed an amicable relationship as two separate local bodies of Christ in Manzini. At first, it was difficult for them to find a place to meet, and consequently they met in four different homes on Sundays as cell groups. Once every two months, however, they came together in one home that was spacious enough to accommodate the whole congregation. This went on until 2000 when the church hired two adjacent classrooms at the University of Swaziland and used them as a meeting place. In the same year, the church purchased a piece of land in the heart of the city but it was not until June 2003 that they finished the first phase of their building and began to meet there. The second phase was completed in 2008, and so their present building (see picture below) sits 150 people. The church’s first pastor was Dr Charles Mahlangu, and he served with five elders (O B Macwele, O M Dlamini, H G Shongwe, G R Bhembe, and Andy E F Simelane). One of the elders, Andy Simelane, was called a “roving elder” because he went from cell to cell encouraging the brethren. 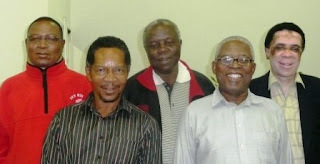 Hence, when Charles left the pastorate to go and take up the principal’s position at the Evangelical Seminary of South Africa (ESSA) in 2002, the church called Andy (wearing glasses in picture below, taken with the current church elders) to take over the pastorate. 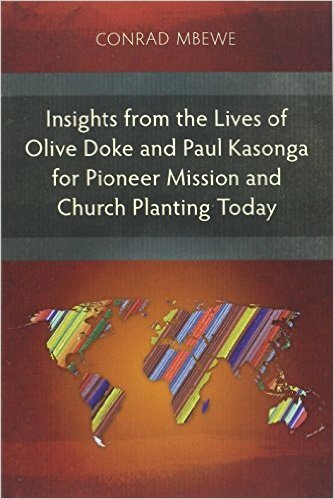 In the same year , the church began to support church-planting work in northern Mozambique where they sent two brothers as missionaries. What started out as two churches with ten members in 2002 have now become nine churches with over eighty members. The latest testimony from there has been the conversion of a Muslim leader, who has had to leave the area to avoid being killed. 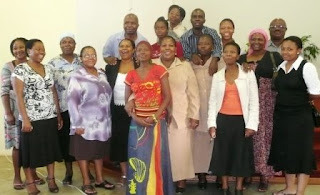 In 2003 they also started to support a new church plant in Thembisa, just outside Pretoria in South Africa. Some members of this church drove all the way from Thembisa to attend the meetings I was preaching at (see their picture below). For many years the Manzini Fellowship Church remained lonely because th ey could not find any church within Swaziland that held on to the Reformed Baptist position. The breakthrough came in February 2006 when they invited Pastor Martin Holdt of Constantia Park Baptist Church to minister among them. Martin introduced them to a whole host of Reformed conferences in South Africa, such as the Shepherds’ Conference, the Grace Ministers’ Conference, and the Sola 5 Conference. Since then they have not missed a single one of these conferences! To top it all up, the church joined the Sola 5 family of churches in 2007 when Sola 5 had its annual conference in Zambia. The Manzini Fellowship Church has a very active membership, comprising mostly professional and business people. Their members participate in church-based ministries meant to reach out to non-Christians in obedience to the Great Commission. They presently have 22 such ministries, with about four members per ministry, and each ministry is headed by a deacon. Some of these are a choir ministry, a Christian school ministry, a counselling ministry, an editorial ministry, a ladies ministry, a literature and library ministry, a men’s ministry, and a youth fellowship ministry. One of the ministries that really challenged me was the literature ministry, perhaps because of my love for “home-made” books. 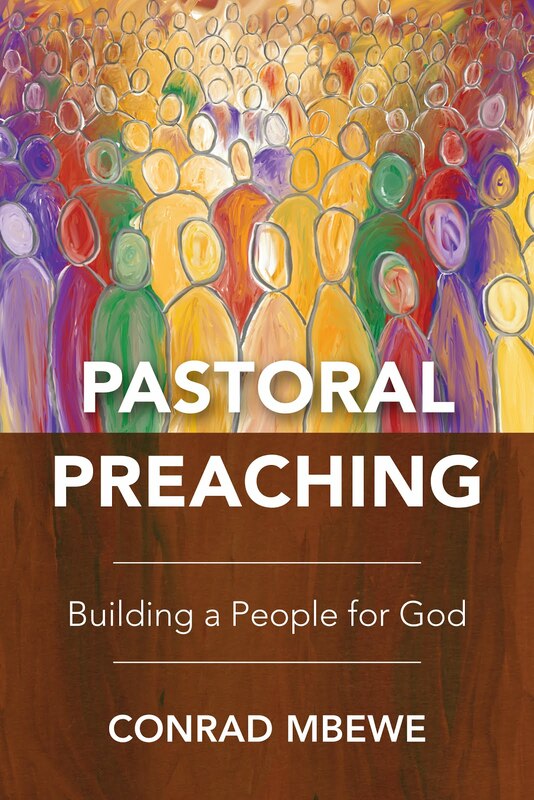 It ensures that all the lessons taught in the life of the church are stored in book form so that anyone either teaching on the subject or simply wanting to learn on the subject can purchase the book and read it. A catalogue is maintained of all the books and their chapters/lessons. 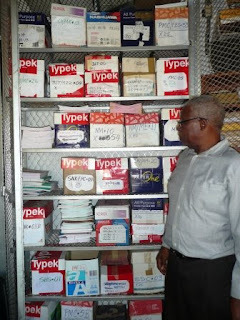 (The very last photo below shows the pastor standing next to cartons full of "home-made" books, ready for distribution to enquirers). This is the church that I was invited to minister to across the Easter holidays. The picture above was taken at one of the meetings. We had whole day meetings on Friday 10th and Saturday 11th April. Then on Sunday 12th we only had the morning worship service. The theme of these meetings was simply “The New Testament Church”. On Saturday I also addressed the leaders on the subject of “Integrity of a leader in the Church of Jesus Christ”. During the question and answer sessions, which were held on Friday and Saturday afternoons, one could tell from the questions that the theme was very well appreciated and being actively applied in the minds of those who were listening. On Saturday I simply failed to exhaust the questions. So we tentatively agreed that I return in 2011 to pick up from where I left off! I would like to commend Manzini Fellowship Church to you for your prayers and active support. The only church I can compare it to in the sub-region outside Zambia—in terms of zeal, excitement about the doctrines of Grace and the Reformed Faith, eagerness to learn, a membership comprising largely indigenous professionals and business people—is Grace Reformed Baptist Church in Windhoek, Namibia. We, here in Zambia, have been very encouraged about what has taken place in Namibia. As we pray for that work, let us also remember Manzini Fellowship Church. If the Lord tarries, and these two churches continue to grow, I can easily see them flourishing beyond what the Lord has done among Reformed Baptists in Zambia. Their potential for good on this continent is immense. 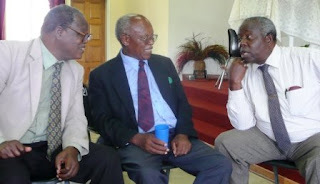 Above is a photo of one of the church elders, Swaziland's former Prime Minister Obed Dlamini (without jacket), talking to two elderly members during lunch at the meetings I was addressing. Let me end by saying that last year, Pastor Andy Simelane, celebrated his 75th birthday. Although he still looks very strong, it is clear that he senses the approach of eternity perhaps more than many of us. 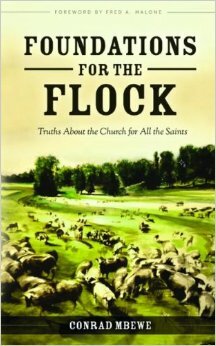 Hence, he speaks very often about his retirement and longings for glory—to the chagrin of many in the church. It is clear that the church loves him dearly. With his wife having already preceded him in the presence of God, one cannot blame him too much for wanting to go and join her there. We need to pray that an adequate or even better replacement will be found for this gallant soldier of Christ so that the work of Manzini Fellowship Church can continue to grow from strength to strength. Amen! 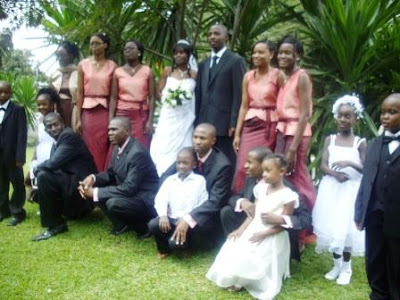 Weddings Galore at Kabwata Baptist Church! “So Jacob served seven years for Rachel, and they seemed to him but a few days because of the love he had for her. Then Jacob said to Laban, ‘Give me my wife that I may go in to her, for my time is completed.’ So Laban gathered together all the people of the place and made a feast” (Genesis 29:20-22). 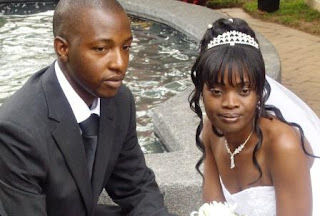 Last Saturday, we joyfully witnessed the coming together in marriage of two church members—Bwembya Chanda and Abigail Mbelenga. It was a colourful and wonderful occasion. Seeing these two young lives consummating their friendship in this God-honouring way brought a lot of joy to our hearts. That is the way it should be because a Christian home commenced last weekend. What breaks our hearts is when a Christian gets into an unequally yoked marriage with a non-Christian. We know that it is a recipe for disaster, and that certainly breaks our hearts! Never before in the life of this church has this ever happened! April will be a very rare month for us as a church. We have weddings lined up every weekend of the month, including the first weekend of May. In fact, if it were not for the fact that I will be out of the country on the second weekend of May, there was yet another couple in the church wanting to get married on that weekend too. But since they really want me to officiate, they are considering postponing their wedding to another date. In other words, it was going to be six weekends of weddings, one after another. Never before in the life of this church has this ever happened! We ought to rejoice that the Lord is leading our young people in this way. Because many of them are first generation evangelical Christians, behind each of these weddings are many hours of painstaking premarital instructions. We do not want to take anything for granted. So, each of these young couples spend many hours over a period of months being taken through the basics of what Christian marriage is all about by one of the older couples in the church. The elders keep a finger on what is going on to ensure that adequate instruction is given before the tying of the knot. Tears often flow freely during the days leading up to many of the weddings that we witness. We need to pray for our friends who are getting married this month because of yet another reason. Because many of them are first generation evangelical Christians, there are often bitter clashes between strongly cherished cultural practices and evangelical Christian beliefs. By cherished cultural practices I do not mean the acceptable matebeto, chilango ‘mulilo, ukwingisha, etc. Rather, it is often those practices that are mixed with rank paganism that our young people rightly reject and experience painful accusations of arrogance and disrespect for parental authority. Hence, tears often flow freely during the days leading up to many of the weddings that we witness. Marriage is important. It is the foundation of society and civilization in more ways than one. To begin with each home is a government. It is the most basic building block of society. Local government and state government hang on domestic government, and not vice versa. Also, where homes are stable, society remains stable as well. It is such homes that bequeath to the next generation a people who are ready to take up the challenges of responsible adulthood. But homes that have no moral fibre and where parents are ever changing partners will soon produce skewed individuals who are a danger to society. Ask the police and they will tell you that most criminals come from such homes. Also, in a country that is devastated by poverty, HIV and AIDS, we need to see Christian homes as beacons of hope for orphans and vulnerable children. Many of them have no idea what a functional marriage and home looks like. So, what a blessing for them to be brought under the love and authority of Christian parenting for a season! The investment is for a life-time. In fact, looking at the individuals being baptized upon profession of faith at KBC in the recent past, many of them are “dependants” in Christian homes. They came to Christian relatives for physical help and shelter but God had bigger plans for them and used the testimony of their foster parents to bring them to salvation in Christ. May our Christian homes continue to give hope to many children, beyond our own children. These young couples need every support they can get. Getting married is not easy. You can see why April must be an exciting month for all of us in the church. It speaks hope to the nation and the world. My appeal to our friends who are getting married is that they should start on the right note by maintaining a robust Christian witness during their wedding ceremonies and receptions. Our time-keeping is certainly something to write home about. We start our weddings ceremonies on time and finish on time. As you know, in Zambia, that is as rare as a dog’s horn!—to use an African proverb. I am not able to comment on how we are doing at wedding receptions, since I rarely attend them. (My absence from receptions is primarily because by their very nature they ill-prepare me for the solemn work that I have to do the next day on Sunday). Perhaps those of you who are regulars at wedding receptions can comment on how we are doing there with respect to maintaining a robust Christian witness. Finally, let me make a passionate appeal to Christians to support Christian weddings. Let us make an effort to be there before, during and after the wedding. These young couples need every support they can get. Getting married is not easy. May I also suggest that we improve our propriety in dressing when attending other people’s weddings. I am not suggesting that we must all appear in three-piece suits every weekend this month, but I still do not think that flip-flops, snickers, jeans and t-shirts are appropriate for such an important, once-in-a-lifetime, event. Even the Bible, in Matthew 22:11-13, speaks about someone being thrown out of a wedding reception because he attended the event in inappropriate clothes!